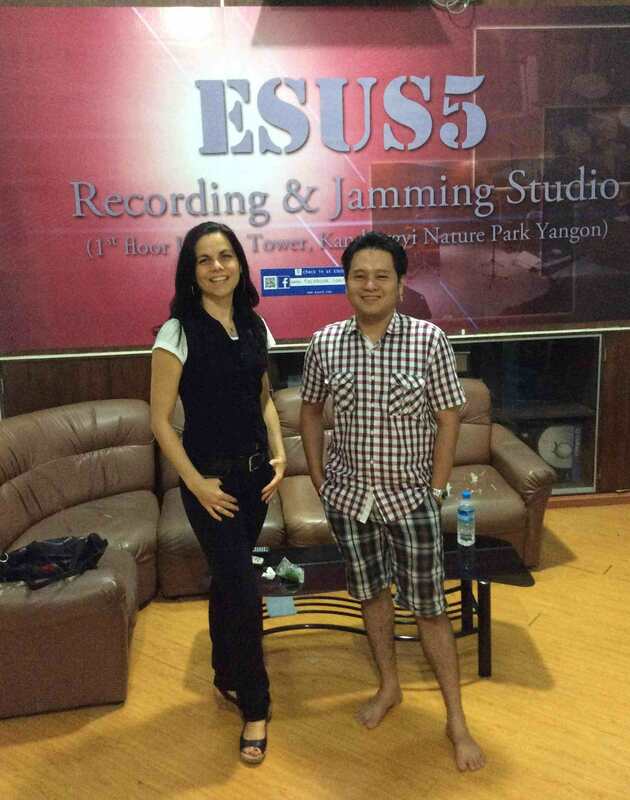 Interview with Aaron S., owner of ESUS5 Recording & Jamming Studio, Yangon / Myanmar (guest blog for Mondstein-Records by Fabienne-Alexia Müller). Aaron S. and me at the ESUS5 Recording Studio in Yangon. A song composition inspired by a new country experience is probably the most beautiful souvenir you can bring along from a stay at such exotic place like Myanmar. In the Western world Myanmar, which was formerly called Burma, has gained popularity through the insisting endeavor of “Aung Sang Suu Kyi” to strive for the countries’ non-violent democratization. For about 50 years the governing military junta sealed the country off from the rest of the world and opened up its boarders just in 2012. Since then, a wave of modernization has been flooding the country boosting not only its economy but as well art, music and the entertainment industry. When I got the chance to make recordings at the “ESUS5 Recording and Jamming Studio” I met with Aaron S., one of the studio owners, to learn from his experience and life within the vibrant and now fast growing music scene in Yangon. Hi Aaron! We are here at your music production studio ESUS5 in the Utopia Tower situated at the Kan Taw Gyi Nature Garden in the heart of Yangon. What does ESUS5 mean? It stands for the five founders of the studio and means “The Sucessful 5” who are Nyan Lin Htak, Myo Thawda Win, Chan Myint Tha, Aung Zaw Oo and me. How many recording rooms do you have here? We are sitting here in the recently set-up “studio C”. As you can see, it is not finished yet. There is still some construction work to be done. In the neighboring rooms we have our first studio, the “studio A” and its first expansion, “studio B”. 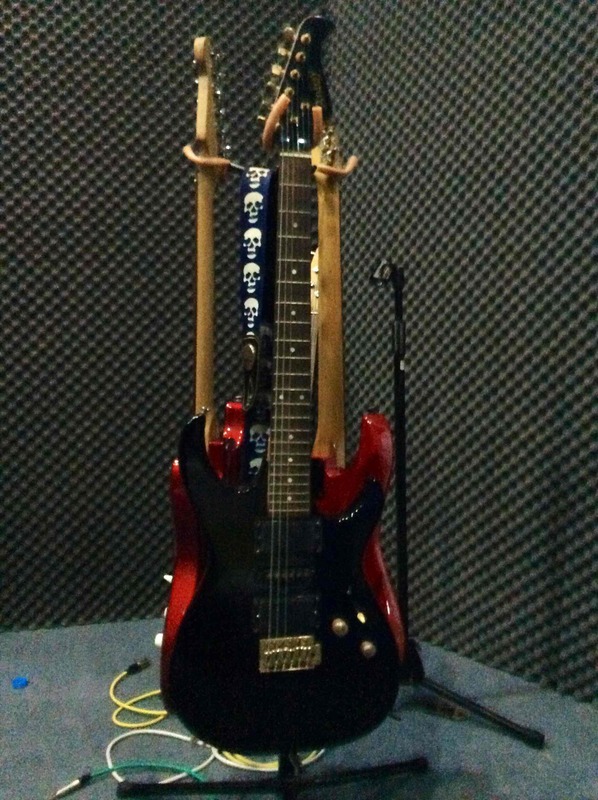 Each of the studios consists of a recording room for instruments and vocals as well as of a technical room. 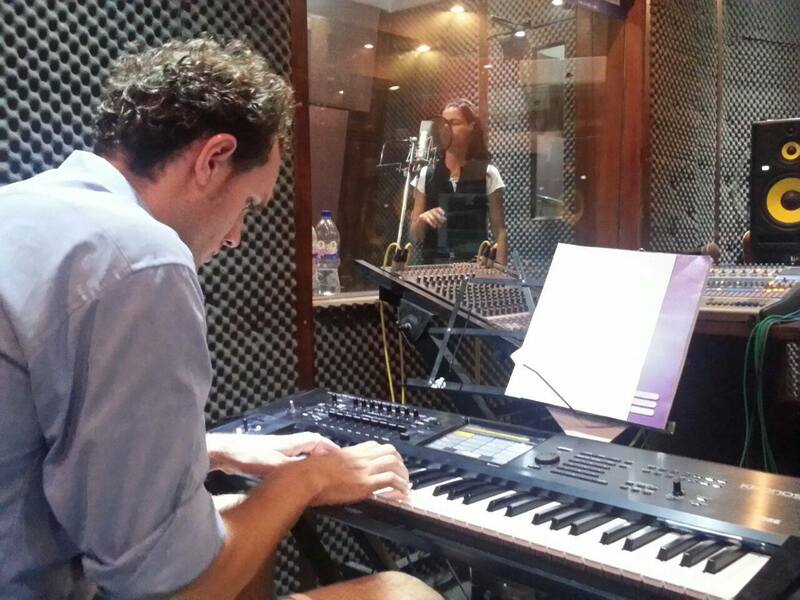 So, in total we have three recording studios where we can record everything from instruments to vocals to voice-over. What does music personally mean to you? Everybody is listening to different music in different situations. You choose the music according to your mood so for me music is important to express my emotions. Can you tell us about the studio history? When was it founded and what was your vision? We founded the studio one and a half years ago in midyear 2012. But the planning already started in 2011. As of today, we are five owners and seven music engineers and technicians who work here. Our vision was and is to take Myanmar music to the next higher level, to lift it up to the international level. And what is your educational background? I have a background as an engineer that helped me a lot to set-up the studio. Actually, I live in Singapore where I have my own home recording studio. Everything that I know about music production I taught myself so I am an all-autodidact. I gather my know-how mainly through the Internet where you can find many tutorials and all kinds of music. In the future, we want to bring our technical staff to Singapore to give them trainings. I want to see the walls of our studio decorated with certificates! What was the main challenge to set-up the studio? To get the appropriate equipment and above all skilled people was not at all an easy thing. And finding a good location in Yangon wasn’t easy either. But compared to Singapore properties here are much cheaper. And as you may have noted, studio rates per hour are not very high [in fact we paid 7000 Kyat per hour which corresponds to about 7 USD!]. In Singapore studio rates are about ten times as much compared to Yangon. The only issue in Yangon is that you have to prepay the rent for one whole year! We are just lucky that one of the ESUS5 owners is the proprietor of the Utopia Tower. So we can rent the studio for a discounted price and pay it on a monthly basis. What are the gears and main tools you work with? For the recording we use Presonous 24.4 or 32.4.2 or RME Babyface. For the editing we work with Digi design 003 with Protools or Nuendo. Can you live from the economical income of the studio? No, we re-invest all the revenues in the growing of the studio, new equipment and instruments. We all have other jobs for a living. Me for instance I am a beverage distributor e.g. for energy drinks [Indeed we were served with a fresh and tasty energy drink called “Reaktor”]. Another founder runs a national bus company. We do not depend on the studio income for a living. At the same time we don’t have to invest our own money into the studio. Today, the studio is a self-sustained company. As you can see on the black board at the studio’s entrance we are fully booked throughout the whole week. So we can pay our studio workers a regular salary and they can live from this income – and from the tip they get from our costumers. Who are your customers today? And what kind of artists record in your studio? 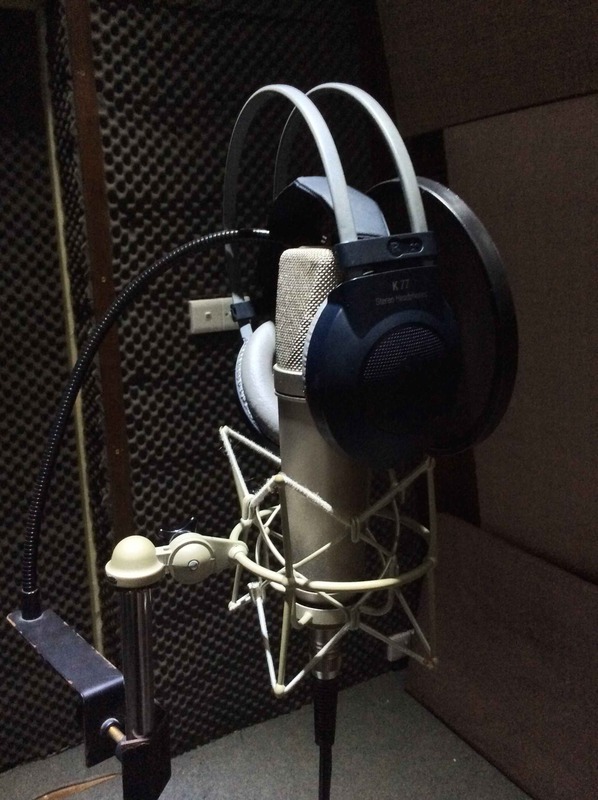 Our main business is producing voice-overs for the commercials of big companies like Coca Cola and Unilever, which are now expanding their markets to Myanmar. Regarding music styles we produce all kinds of music from Hip Hop to Rock to even Myanmar traditional music and once we made even a Buddhist-Gospel recording. And out of these styles, what are the main genres today in Myanmar? To the contrary, were there any disappointments and setbacks during the set-up of your studio? Well you see, English knowledge is still very low and this is a barrier to work on an international level. And one of the mayor difficulties was and still is to train the people in maintaining the studio properly. Sometimes, our staff runs the studio for 24 hours and some of them even sleep here. It is a challenge to make them understand that the music studio is a working place. When external customers come to the studio, you know, it should always be kept clean and tidy and look professionally. They all like making music but when it comes to business they do not care enough about the maintenance of the studio. This makes it difficult to keep the premises in a good condition. … And they might sometimes even chew their betel nut *) … Yes, indeed they do [laughs]! But we cannot tolerate this. So besides giving our staff training in music production we have as well the responsibility to educate them in keeping the professional standard of the studio. Not tolerated at ESUS5: Chewing betel nut. *) For those not familiar with the betel nut tradition: If you ever arrive in Myanmar get used to being grinned at with stained red-black mouths and to taxi drivers who open the car window every now and then to spit out something you better not look at if you generally have a problem with body fluids. 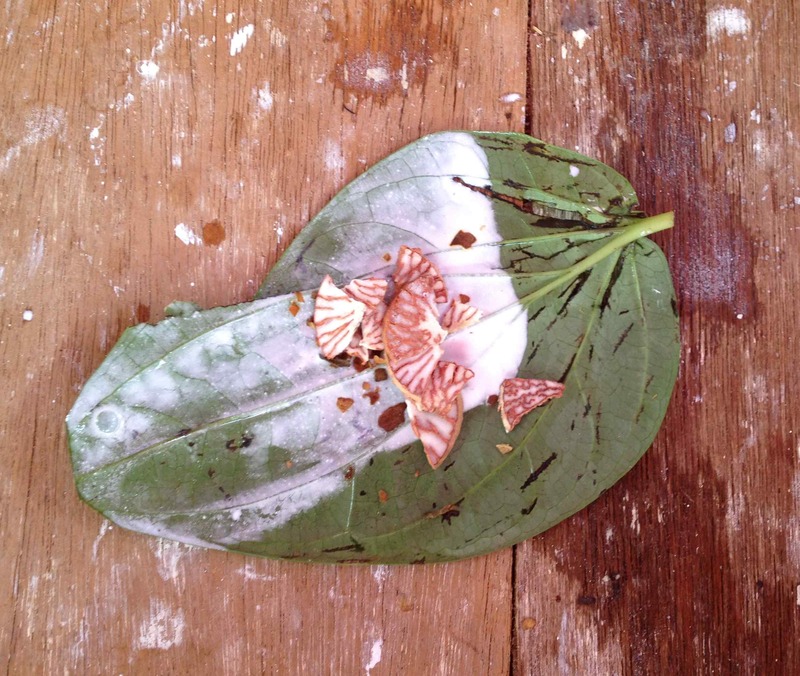 Betel nut is a wide spread stimulants in South East Asia. It is the fruit of the areca palm mixed with tobacco and wrapped in a betel leaf. Just from my own observations I conclude that about 80% if not 90% of Myanmar men regularly chew betel nut … and I still wonder how this catches on with the girls… Get more information by reading the article CNN, November 2013: Nothing to smile about – Asia’s deadly addiction to betel nuts. For 50 years the regime of Myanmar decided to close the boarders and to limit international exchange. What did this mean for the development of the Myanmar music industry? For the music industry it has not been as difficult as for the movie industry. Music industry always found a way to develop in Myanmar whereas the film business was more watched by the Government. Now, can you notice any major changes for the Myanmar music scene since the opening up of Myanmar in 2012? Yes, since the opening of the boarders it became very easy to import music equipment. We brought all our equipment you see here in the studio from Singapore. Before it was very difficult to get the necessary facilities, tools, instruments and technical equipment from abroad. – And in terms of music style, did the opening up of the boarders influence the music development? Yes, there is a much higher exchange rate on music. Now we have Internet and have access to music from all over the world! Before, international exchange to such extent was not possible. Yet, I hear a lot of covered Western pop music and the lyrics are translated into Myanmar language. For Instance, every time I enter the car of one of my taxi drivers [he is not a betel nut chewer!] he plays Lady Gaga covers in Burmese. Where does this copying tradition come from? I think that in Myanmar we copy Western music to learn from other artists and thereby train ourselves. Copying makes music production easier because the music arrangements are already done. In order to be able to compose own music we have to know how to create our proper arrangements and compositions. When we copy, we just learn and understand how music works. The jamming culture did not yet fully arrive, but now slowly the youngsters start forming their bands and jam together. Many musicians still think that only professionals can play at a studio. A short excursus on the emerging of popular music in Myanmar: Rock music, called “stereo” in Burmese has been a popular form of music since the 1980s. Pop music emerged in the 1970s and was banned by state-run radio stations. However, many artists circumvented this censorship by producing albums in private studios and releasing them in music production shops. During the “Uprising 8888” movement, which was started in 1988 by students in Yangon followed by a series of demonstrations and a bloody suppression by the regime, restrictions loosened. In the following, many artists began writing music with themes of freedom and democracy. Hip Hop and Rap emerged in the late 1990s and is today the prevailing genre of music among Burmese youth. Burmese cover songs represented early pop music in the country as artists recorded and performed “copy tunes,” which were reproductions of international pop songs performed in Burmese. As a result, many pop groups emerged throughout Myanmar. In August 2012, state censorship on music was officially abolished. Today, the only government censorship that remains on “music” is on videos. Source: http://en.wikipedia.org/wiki/Music_of_Burma. So may I conclude therefrom that in Myanmar there is a need for teaching music composition and arrangement? Yes! We need training in music theory and composing! But there are music schools in Yangon. True, we have music schools. But they rather teach how to play an instrument than how to compose songs and make own arrangements. I was told that there are many recording studios in Myanmar. What is your success model to survive in the market? There are indeed many music studios in Yangon but most of them have to set down their business already after a short time, mostly because they run out of money. Most of the studios are launched because the founders love to make music. But they do not understand that living from music means hard work. So many studio owners do not bear up when the business gets tough. We from ESUS5 are today in the position to make business with the big international companies. Sometimes they approach us, sometimes we have to reach out ourselves to get new customers. We understood that the love for music is not enough. To be successful in the music industry you have to work hard. And I see that ESUS5 is yet the only studio in Yangon with a homepage… Yes! And for now this makes it very easy for us to stay on top of the Google hits [laughs]. People still think, that setting up a homepage is a very difficult thing and takes a lot of time. But honestly, with the today’s tools it is very simple and done with a few clicks. Do you have any idols you follow as a music artists and producer? Not an idol in particular, we are generally very much oriented towards American contemporary music. But Korea has a flourishing music industry as well. Thinking future, how will the ESUS5 studio look like in five years? Do you have plans for major purchases for studio equipment? Well, of course we want to grow. Besides expanding our studio for music production we want to act as a music label as well and become active in the music distribution. Regarding our future equipment, we are planning to upgrade to HD recording capabilities and 7.1 surround sound. But first we need the money. As for now, we have to work with the equipment we have. If you are talking to the next generation of musicians and studio technicians in Myanmar: What tip do you give them to become successful in the music business? I tell them to work hard and to do what ever it takes to achieve their goals. And I tell them to improve their English language skills that they can learn from the Internet and from books. They should start developing an own modern Myanmar music style as well. You see, India for instance has its own modern music style that evolved from the traditional Indian music. This is what should be done in Myanmar too. Myanmar has a rich music tradition, e.g. the Myanmar harp. The next generation should build on this tradition and develop the Myanmar style of contemporary music. The Myanmar harp called “Saung” is a national instrument dated back to the 9th century. It is said to be the only surviving harp in Asia http://en.wikipedia.org/wiki/Saung. As a last question: What do you want to tell the readers of this interview about Myanmar and its music? Do you want to leave them a specific message? Yes. Myanmar is trying to catch up with the international music standard. Our music industry is still very young and we were behind closed doors for decades and therefore unable to learn and to improve. I would like to welcome all musicians and professionals to discover the Myanmar richness of music to help us bring up the standard and quality of the Myanmar music industry. Me and Hugh Van Der Kolff recording at ESUS5.